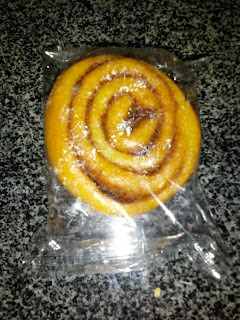 Ah, Little Debbie treats. Always the best part of my lunch box. Well, actually, I had an amazing mother who made fresh cookies all of the time, so I didn't have them that often in my OWN lunch box, but I could barter for them :) I thought these would fall in the category of snacks that I should let just remain as memories, and that trying them again as an adult would ruin them forever. But ... in this case, I'm glad I tried them again. 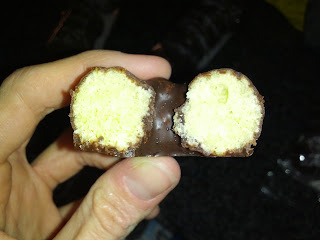 It turns out, some Little Debbie is still delicious! One of my strongest Little Debbie memories, and appearantly their first item, around since 1960. The cookies are super-soft, just like I like them. They don't have a very strong oatmeal flavor however, and have a slight plastic flavor to them. They are so soft though! The filling is just crazy sweet, exactly as I remember. The ratio of cookie to filling is perfect. These really haven't changed. I don't love them, and won't get them again, but they sure are a classic. I don't think I ever actually had these growing up, as we always got the Entenmann's ones. But these just sound so good. 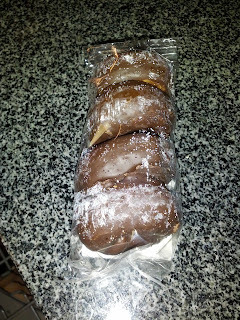 Who doesn't love chocolate frosted donuts? The cake was, like Entenmann's, a strange, unnatural, yellow color. It was fairly unremarkable, not really moist nor dry, not really having any particular flavor. The chocolate shell was similarly flavorless. I wanted it to be chocolatey, I wanted it to be a bit crunchy, but it wasn't really anything. 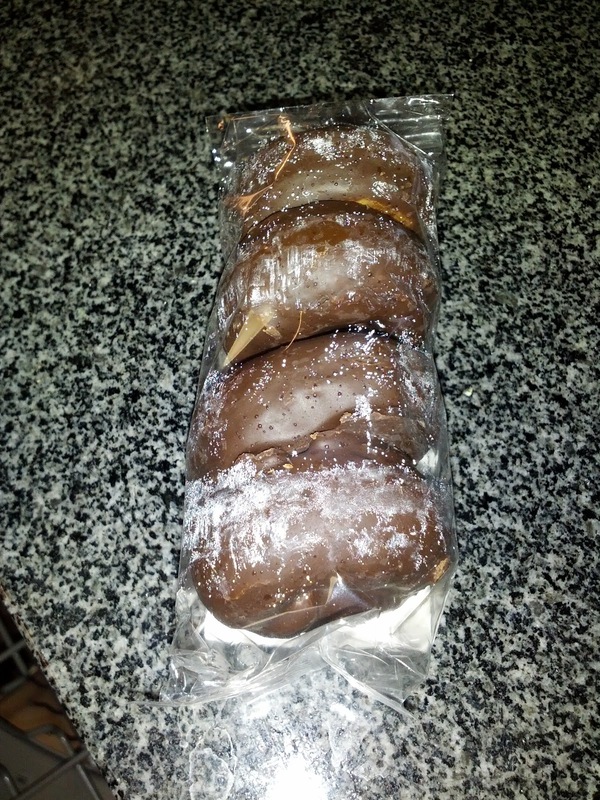 The Entenmann's version had a much richer chocolate flavor. Meh. Would not get again. "A pastry of cinnamon and spice rolled with pecans." I thought I remembered these as being one of my favorite items, although I was confused when I opened the box. What I remembered came in totally different packaging ... I remember individual little plastic boxes. And I thought they were more caramelized and more loaded with pecans. Am I remembering something else? Did these change? Am I totally making this all up? Anyway, these weren't good. Moist dough that was kinda gummy and strange. I didn't find any pecans in it, although there was some gritty substance in with the cinnamon that must have been the pecans. There was some cinnamon flavor at least. Ojan says, "It tastes gluten-free, like made with cashews. Or maybe vegan. That was gross. Why did you make me eat that?" Least favorite of the items I tried. 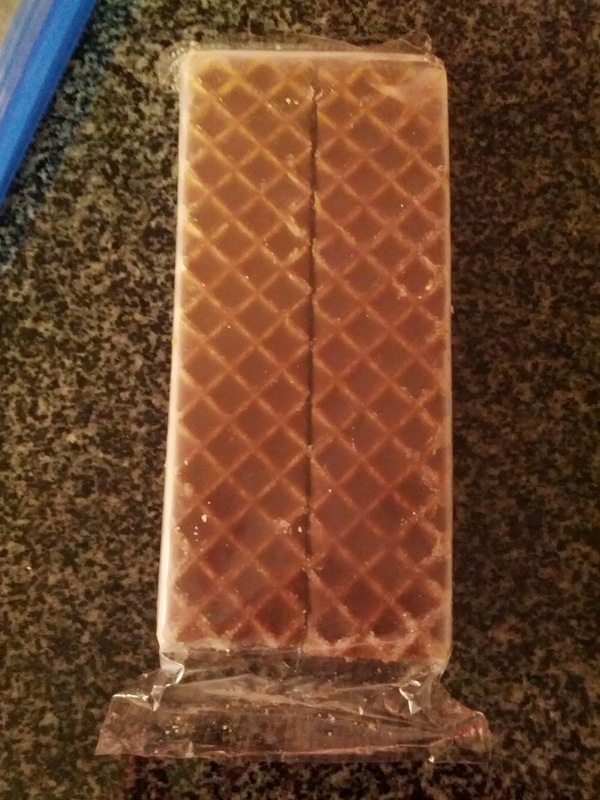 Nutty Bars were probably my second favorite as a child. Described as: "classic crunchy wafer bars, full of the great taste of peanut butter enrobed in fudge". Like most of the treats we'd been trying, I expected to take a bit of one of them, and then hand the rest over to Ojan, who was busy exclaiming how great they were. "Yeah right," I thought, "low quality waxy milk chocolate, peanut flavored paste, and some stale wafers. I'm sure they are great!" How wrong I was! Sure, those things may have been true, but they were still really tasty. Classic chocolate and peanut butter, always a great combination. 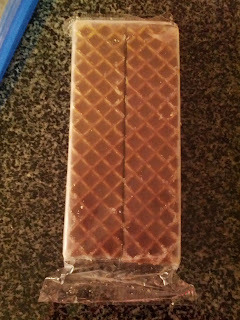 And a nice crispy wafer. Yum! Ojan and I both really liked them, and if I was really going to purchase more Little Debbie snacks, these would surely be the ones. Ojan of course did purchase them a few more times after this first encounter, but I think he is sick of them finally. I discovered Home Hill Inn and Restaurant only this past December, when I visited my family in New Hampshire for the holidays. I was absolutely blown away by the entire experience. The menu read like one from an upscale restaurant in a big city, not a charming town in New Hampshire, using ingredients unfamiliar to most diners in the area. The prices were astonishingly low, not just compared to the San Francisco prices I'm used to, but even for the area, given the quality of ingredients and advanced techniques being used. And the food. Swoon. It was amazing. One of the top restaurants I have ever dined at, and their skate wing entree remains in the top 3 seafood dishes I have ever consumed. You can read all about my first experience here. I'm not sure how I had never visited Home Hill before last winter, as it has been operating for years (although re-invented several times). And when I rave about it to others in the area, they all mention that they have heard of it, but also never been. Such an amazing place, I don't know how the word hasn't gotten out! Seriously, if you are even anywhere near Lebanon, NH, you NEED to go there. After such an amazing first visit, I wanted to make up for all my lost time dining at Home Hill, and go several times during my brief visit this summer. I wanted to experience it all - a formal dinner, a casual meal in the pub, and a brunch. As soon as I booked my flights, I contacted the restaurant to find out what was on their current menus, and plan my visits. The chef replied to me, and suggested that I take things up a notch, and let him come up with a tasting menu for our formal dining night, rather than just eating off the regular menu. This sounded awesome to me, but I knew my not-so-adventurous family members (with the exception of my mom), would never be up for it. And a tasting menu for only two of us didn't make sense. So I asked my mom if she had friends who would want to join us, and we quickly pulled together a group of 10, composed primarily of her friends and co-workers. I made the reservation, and reached out to the restaurant to figure out the logistics of the meal - how many courses? What price point? What ingredients? The chef had said I should tell him our favorite ingredients, and he'd come up with something based off of it. But then, I didn't hear back. I contacted them on Facebook (where all my communication thus far had been), on their wall, on mine, and through direct messages. No response. I sent e-mail. No response. Our dining date was fast approaching, and I had no details to tell my fellow diners. Several dropped out at this point. I had no idea what was going on. I pinged them a few more times, but still nothing. We decided to still go, and figured we'd just order off the regular menu, and have a nice meal regardless. When we showed up, I was immediately escorted to the private room, where our table was set up, complete with a custom tasting menu. I was pretty surprised! It turns out the chef had indeed replied to me on Facebook (although only late the night before), apologizing for not getting in touch, saying he had been out of town, and he sent me the proposed menu. For some reason, I never got that notification, so when I arrived at the restaurant, it was all a complete surprise. Since I've reviewed the restaurant itself before, I won't go into the basic details, and will focus this review only on the more unique aspects of this particular experience. On my first visit, I appreciated that they had a strong focus on local and seasonal dining (which of course I am used to in the Bay Area, but I haven't seen much of in New Hampshire). At the time, it was the dead of winter though, so there was very little seasonal produce. I was thrilled to visit during the summer this time. They take local to a level even more extreme than what I see in San Francisco - the benefits of being in the country! The vegetables and herbs are grown in their own gardens or from Edgewater Farms next door. The entire bread program is run in-house, including table bread for dinner, bread used in many of the dishes, and also the muffins and english muffins at brunch. Really surprising for such a small restaurant. It doesn't stop there however, the dairy products are all from McNamara Dairy next door. The cheeses are all from Vermont and New Hampshire. Even the liquors used in the bar are from a local producer! It seriously does not get more locally sourced than this. The freshness was incredibly obvious. The private room was lovely, very comfortable and cozy. The walls were lined with artwork and bookshelves, the floors covered with beautiful rugs. A great space for our group, and the final group size of 6 worked out nicely in the space. I was again completely charmed by the atmosphere. the staff were all very friendly, but the service was certainly not nearly as polished as the food itself. As for the food, I was again impressed, but not wowed by the food in quiet the same was as my first visit. However, I attribute that to the fact that not a single dish on our menu is one I would have ordered. I really wish we were able to communicate with the chef beforehand, as I'm certain that with a little input, he would have delivered a meal that would blow me away. The menu was again very innovative for the area, and the level of execution on the cooking is where the chef really shines. Everything was expertly seasoned. Chef Peter again demonstrated that he can seriously cook fish better than most in the industry. Such skill! I'll be returning, for sure, and I'd even be up for a tasting menu again, although, I'd like to make sure I get in touch properly before hand next time! We entered the private room, where the table was set with the special tasting menu the chef had arranged for us. Since we weren't able to give any input into the menu, I was a bit disappointed when I saw it, and considered asking if we could just order off the regular menu instead. Not a single dish listed was one I would have picked. 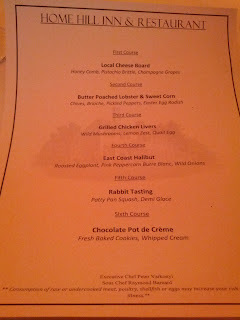 And, although my stomach is doing remarkably better these days, 6 courses is way, way too much. I would have asked for 3 or maybe 4, and would have stuck to all seafood (or vegetarian). But, I really appreciated the chef doing this special menu for us, so I decided to just let it go and dive in. If this was what he thought the best food of the night was, I'd trust him. There have been many examples in my life where tasting menus have encouraged me to eat foods I'd never normally order, and I've discovered many new favorites in this way. 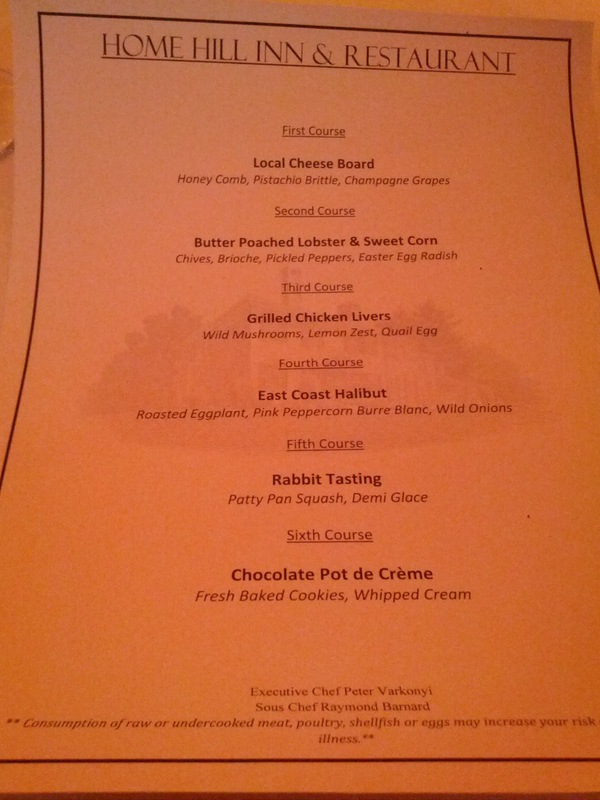 However, there were two courses that I switched out, just for myself (not the other diners). The first was the rabbit tasting. Now, I'll try all sorts of food. I can't stand it when people refuse to try new items. It is fine to dislike things, after you've given them a fair shot. But rabbit is one thing that I have not tried. The reason is simple: I've had too many rabbits as pets. Not only were they were my pets as a child, but even into college and graduate school. I love bunnies too much to eat them. I just couldn't bring myself to do it. So, I asked to have that course switched out. The other was the dessert, chocolate pot de crème. Now, obviously, I adore chocolate, and puddings. But, my body can still respond in fairly unpredictable ways to caffeine, so having chocolate in the evenings is a no-no for me. We had no idea what to expect for pricing. I'd been impressed with the insanely reasonable prices for special event menus that Home Hill has advertised in the past, so I was hoping it wouldn't be too much for my group. The price for our 6 courses was $50. Seriously? $50? For 6 courses? Including lobster? Insanity. That made me feel a bit better, as I assumed it meant that the courses would be tiny, a true tasting menu, and perhaps I'd manage. But, as you will see, these were all full size courses. A meal with these ingredients, would easily start at $150 in San Francisco. Looking at the regular menu prices, it seems like it should have priced out closer to $100. I honestly don't even know how they can source the ingredients for these prices. Such an incredible value. Mind blown. We were also offered a wine pairing for $30. The wine pairing was not listed on the menu, so we didn't know what the wines would be. But most of us went for it anyway. Again, $30, for 6 glasses of wine? And again, these were full size pours. Insanity. Most of the wines are on their regular menu for $9 each, so this really was a great deal. Unfortunately, I did not like most of the wines, as you can read more about in my descriptions below, but it was still a great value. 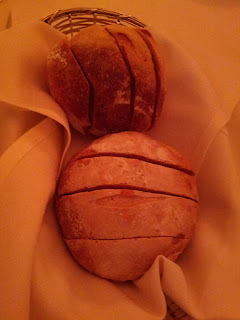 To start, we were delivered two baskets of fresh, warm bread, each containing two loaves. They were plopped down on the table in front of us, with no explanation. One loaf was much darker than the other, so I think they were different, but both smelt like sourdough. I don't generally like sourdough, and I knew we had a ton of courses coming, so I tried a bite, but didn't have much of it. It was ok, but not as good as I remembered from my previous visit, where I actually did like the sourdough, much to my surprise. As I mentioned, they run their own bread program, so these were house made, however this was not mentioned to us at the time the bread was delivered. I remembered it from my previous visit, but found it interesting that no one told us that detail this time, as it is notable, and something I'd think they'd be proud to tell their diners. Local Cheese Board: Honeycomb, Pistachio Brittle, Champagne Grapes. Our first course was a cheese board. A proper cheese board. This was a welcome sight after the first few "cheese platters" I'd seen in my time in New Hampshire thus far. Let's just say that the highest end cheese I'd encountered prior to this was pre-cubed pepperjack. Or perhaps Babybel. I was a bit funny to have a cheese course to start. Growing up, we often had cheese and crackers as an appetizer, and I always thought that is when you ate cheese. Then, I moved to California, starting dining out more, and discovered that cheese is always offered as dessert instead. Now that is normal to me, and it seemed strange to start with cheese. Good cheese tends to have a strong flavor, and cheese is fairly filling, so it doesn't seem like the right way to ease into a meal. Anyway, we were given one platter in the middle of the table, with a small spoon for the honey, but no knives to cut the cheese. People on the ends of the table could not reach the cheese, and there was awkwardness in re-using our personal knives, which we'd used on the bread and butter already. I liked having the big communal cheese board, but it was a little hard to manage logistically. The cheeses were all local Vermont and New Hampshire cheeses, served with two colors of champagne grapes, honeycomb, date and cranberry crostini, and toasted sourdough. For most diners at the table, this was their first time having champagne grapes, and they found them quite fun, tiny, and novel. It was also the first time many of them had honey from honeycomb. The honey was quite tasty, from a local source I'm sure. I particularly liked it with the blue cheese. The menu listed pistachio brittle, but there wasn't any (nor any other nut component). 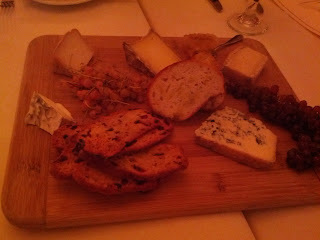 The platter contained five different cheeses, a fairly varied selection of three hard, one soft, and one blue cheese. Sadly, no triple creams, which are my favorites! When the waitress brought it out, she did tell us the names of each, and one diner asked to know which were cow and which were goat, since she couldn't eat goat dairy. The waitress didn't know, and had to go check and consult a list. The first was Consider Bardwell Manchester, from West Pawlette, VT. Raw goat's milk, aged 2-4 months. I don't like goat cheese, so I skipped it, as did the diner who cannot have goat. Next was a hard, cow's milk cheese, "Walla". I couldn't find it online, nor on Home Hill's outdated menu online, so I think I must have misheard the name. Good, but unremarkable. Next was another hard, cow's milk cheese, Kinsman, from Landaff Creamery, in Landaff, NH, aged 40 days. Another good enough cheese, but not memorable. My favorite was the Jasper Hill Bayley Hazen Blue, from Greensboro, VT. It went really nicely with the honey, on the crispy flatbread crackers. The last was another goat, "Bombish", which I also didn't try, and couldn't find details of. Cheeses are offered at $4 per selection on the regular menu. Our wine pairings started with a glass of something sparkling. The name of it was not given. It was slightly bitter. I did appreciate starting with bubbles, but I've been spoiled by a lot of fairly good sparkling wine lately, and this didn't really measure up. My mom did like this one, I think it is the only glass she actually finished. Overall, this course, and the wine, were both fine, but not memorable, and my least favorites of the evening. Butter Poached Lobster & Sweet Corn: Chives, Brioche, Pickled Peppers, Easter Egg Radish. 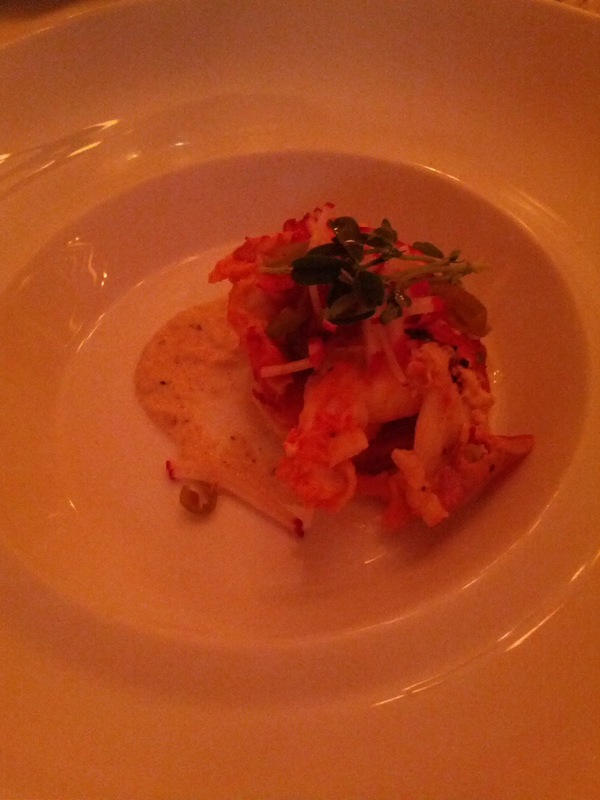 After we stopped picking at the cheese, we moved onto the first "real" course: butter poached lobster. I think lobster is fine, but it is never what I'd pick over other seafood options. This preference has become stronger since moving to California, where the lobster is obviously never as fresh, and the Dungeness crab is always amazing. I also already had lobster for lunch that day, leftover from a big lobster boil we had at home the night before. So, as my previous two meals were both lobster, and since I don't even like lobster that much, I wasn't really excited to see it on the menu, although I realize I was probably the odd one out. My lobster was a large piece of tail, a bit chewy, but the flavor from the butter poaching was nice. Still, it was lobster, and I just wasn't that into it. 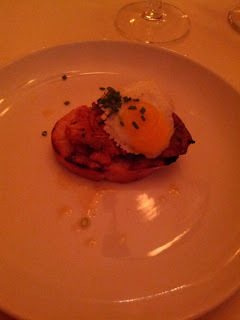 The lobster was served atop a crispy, buttery chunk of brioche. 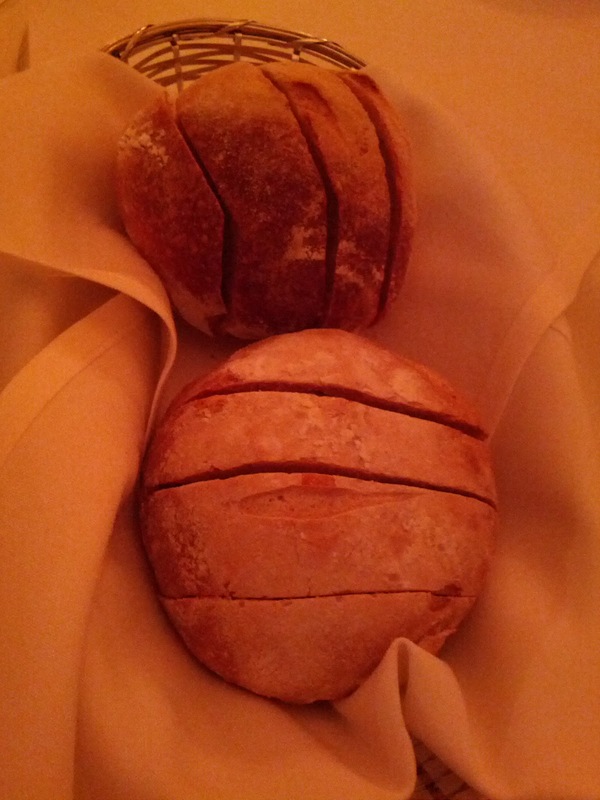 It reminded me of the brioche accompanying the foie gras on our last visit. And just like last time, I didn't care for it. I'm just not sure why it was there. We'd already had a bread basket, and bread with our cheese, and so many courses left to go, I certainly didn't need to fill up on more bread. And it took away from the other flavors in the dish, masking the beautiful sweet flavor of the corn and lobster with the flavor of ... bread. Speaking of the corn, there was a corn puree that was absolutely delicious. 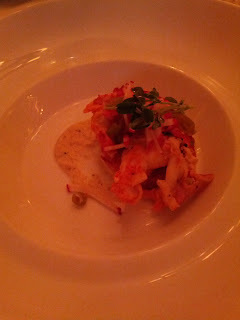 It was sweet, creamy but with some texture remaining, and a great pairing with the buttery lobster. Corn, butter, lobster, such a classic combo! We all commented on how good the puree was. I would have eaten a bowl of just that puree. There was also a slight heat from a few pickled peppers, which went well against the sweet corn puree. It reminded me a bit of a southwestern-style polenta. The radish shreds and sprouts on top added a crunchy, fresh component to the dish. This dish was not on the regular menu, although lobster is offered in several other dishes. I wouldn't have ordered lobster, given my lack of interest at the time, but my mother, who loves lobster, really enjoyed it. The corn puree, and garnishes, were so tasty that I rated this my third favorite of the night, although I wouldn't order it again. The scallops on the regular menu included a corn puree, and is what I would have certainly ordered, if ordering off the menu, since I love scallops in general, and I think the corn puree would pair even better with sweeter scallops! The wine pairing was a white 2011 Tommasi Le Volpare Soave Classico. It was very dry, with only a touch of sweetness, and an incredibly bitter finish. I did not like it at all. Grilled Chicken Livers: Wild Mushrooms, Lemon Zest, Quail Egg. Next up was grilled chicken livers. Now, clearly, I love liver. I have certainly eaten my share of foie gras, although sadly, it has now been more than a year since I could order foie at restaurants in my state. Chicken liver hasn't ever been my favorite, as it is a bit too strong of a flavor for me, but I still can like it, particularly when in mousse form. It came over sautéed wild mushrooms, again, perfectly prepared, tender, well seasoned. And, served on top of another piece of grilled bread. I was sick of bread at this point, but it did belong in this dish, as liver and bread is a very standard pairing, and the bread helped cut the richness of the liver. On top was a quail egg. Cute and adorable, cooked exactly how I like my eggs, the whites not at all tough, the yolks just barely not runny. It also was perfectly seasoned, with large chunks of pepper. This seemed to be a combination dish based off of two of the crostini from their regular menu: grilled chicken livers and chanterelles with quail egg, both normally priced at $12. I probably would have preferred just the mushroom and egg version, but crostini is not a dish I'd normally order anyway. This was my 4th pick of the night, although I cannot fault the execution on it in any way, just personal preference. It came paired with a rose: Bonny Doon Vin Gris de Cigare 2011. It was better than the previous wine, but still fairly bitter and a bit harsh. I appreciated that it was refreshing and light against the strong liver flavor. MA Clam Steamers: Drawn Butter, Herbs, Beer. 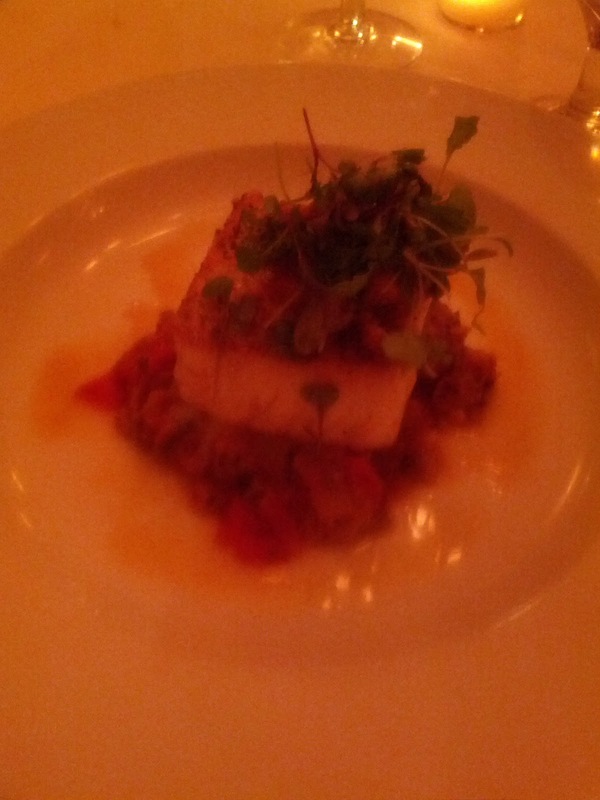 Next, everyone else was brought the expected forth course: halibut. 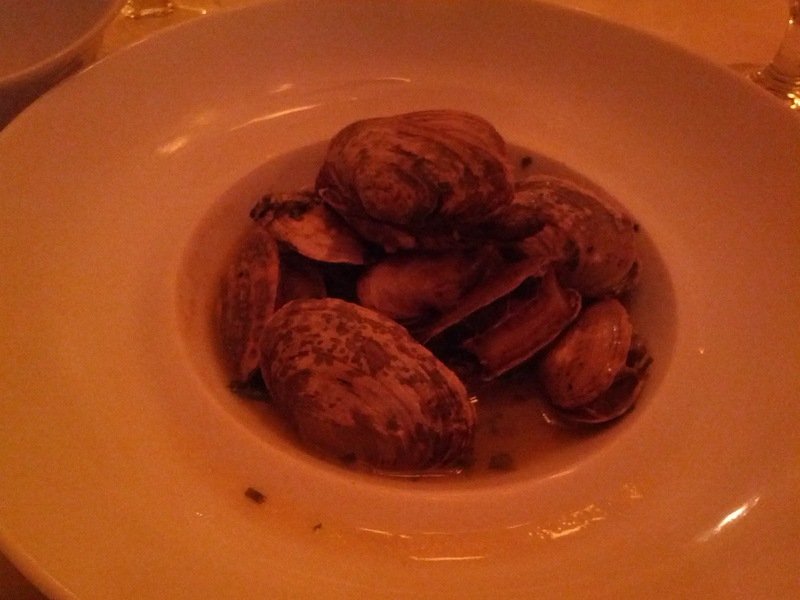 I was momentarily confused when a plate of steamers were placed in front of me. I'd asked not to have the rabbit dish, but I still wanted the halibut! Luckily, one of the servers saw my expression, and let me know that this was my replacement for the rabbit, and that I'd get the halibut as my main dish. My heart really sank when I saw this dish. I have never liked clams, in my entire life. I try them often, as they show up in seafood stews all the time, and I keep giving them a chance. But, I just don't like them. These were no different. It doesn't matter how well prepared they are, I just don't like clams. I ate 4 or 5 of them, really trying, but to no avail. The broth was quite fantastic, warm, salty, flavorful. I used some of the bread left from the bread basket to soak up the delicious broth. But they were still clams. I would have never ordered this. I almost wish I'd kept the rabbit dish, as I think I'd at least have liked the sides with the rabbit more than this. My 5th pick overall, saved only by the broth. It is offered as an appetizer on the regular menu for $10. My dining companions all absolutely loved their halibut however, so I looked forward to receiving it next. This course came paired with another white wine, Calera 2010 Chardonnay, both for me with the steamers, and everyone else with the halibut. It was another wine I did not like. Again, bitter, and not buttery like I was hoping for from a Chardonnay paired with seafood. Intermezzo: Peach Lemon Verbena Sorbet. East Coast Halibut: Roasted Eggplant, Pink Peppercorn Buerre Blanc, Wild Onions. After everyone else raved so much about the halibut, I was really looking forward to it. It turned out, I had a while to wait. After the intermezzo, we waited a full 45 minutes before our entrees arrived. I am used to long, multi-course dinners, but most of the rest of my group is not, and they all had to work in the morning, and were getting a bit restless. At one point, even I started to wonder if we'd been forgotten. No one came to check on us, or explain why there was such a delay. The halibut was worth the wait. It was worth having the rest of the menu be dishes I wouldn't normally pick. The halibut was so good that I stopped caring about anything else. It didn't matter that I was already full. It didn't matter that I didn't like the steamers. It didn't matter that our service wasn't stellar. It was just that good. It defined the entire experience. Now, why wouldn't I order the halibut normally? Simple. I eat a lot of halibut, probably almost once a week, so I wanted something different, more unique to being on the east coast (although, this was east coast sourced, and I'm accustomed to west coast). And halibut, while perfectly good, is a bit boring. It is a nice white fish, don't get me wrong, but ... its just halibut. But regardless, this was the best halibut I've ever had. No question. It was even in the top 10 seafood dishes I've ever had. It was that good. It was, again, perfectly cooked. A nice crust on top, amazingly crispy on the bottom, yet still moist, flaky, and firm on the inside. Seriously perfect. I don't throw this word around lightly. It was just that good. Like the other dishes, it was expertly seasoned. I honestly wouldn't change a thing about this dish. My tasting notes are just full of accolades for this dish. The fish itself was incredible, and could have stood on its own no problem, which is rare for a mellow white fish, but the accompanying sauce with it was equally amazing. Roasted eggplant, tomato, I think peppers, onions. The vegetables were all tender, perfectly cooked ingredients. The sauce was seriously flavorful, but somehow didn't overpower the fish. I think it would have paired really well with a swordfish as well. 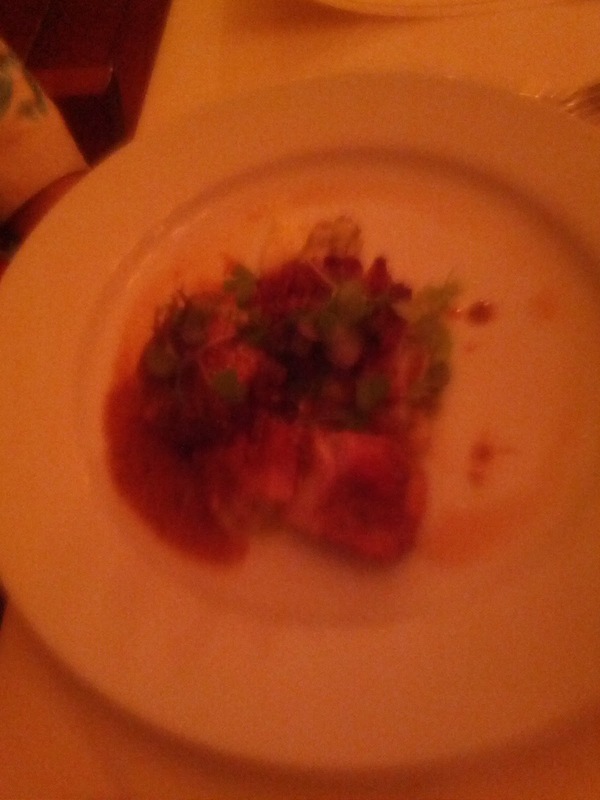 I loved this dish. I was stuffed, but didn't care. I just couldn't stop eating it. Amazing. The dish was on the regular menu, $27. Hands down favorite dish of the evening, for myself, and for everyone else. It reminded me of my last visit to Home Hill, where the skate dish was just perfect. Chef Peter seriously, seriously knows how to cook fish! I can't say enough good things about this dish. This course came paired with a red wine, a Syrah, 2010 Clayhouse Vineyards. It was actually my favorite of the wines, which isn't surprising, given that I tend to like Syrah in general. It was light, and I'm sure paired well with the rabbit. It was a bit of a strange pairing with my halibut however. Not that I wanted more of the previous white that was supposed to be paired with the halibut, but I do wish an offer had been made to do a better pairing for me, since my entree was switched. Rabbit Tasting: Patty Pan Squash, Demi Glaze. I tried to snap a quick photo of my mother's rabbit tasting, but clearly I did it too quickly, as it came out totally blurred. Whoops! I did not taste the dish, but my mother said it was nicely done. She wouldn't normally order rabbit either, and was totally full at this point and not actually interested in another main dish, but she remarked that it was nicely cooked and not at all tough. It was not on the regular menu, served specially for us. This made me feel even worse about not wanting it, but again, I wish they checked with me for some guidance in creating the menu. Normal entrees are $24-$28, so I think it would fall in that range. Dessert Platter: Cheesecake with raspberry coulis and white chocolate, cocoa nib cookie, chocolate pot de crème with whipped cream, blueberry crumble, lemon curd with crumble, raspberry sorbet, gooseberries, champagne grapes. Our printed menus listed a chocolate pot de crème for dessert. Since I can't have caffeine in the evening, I asked to have it switched out for myself only. I was told that everyone else would get the pot de crème, and I'd get a blueberry crumble. Sounded great! We were thus a bit confused when a single dessert platter was placed in front of us, along with individual plates and forks in front of each of us. No serving spoons were provided, but it was clear that we were supposed to all split the platter. Since there were six of us, this was a bit strange. 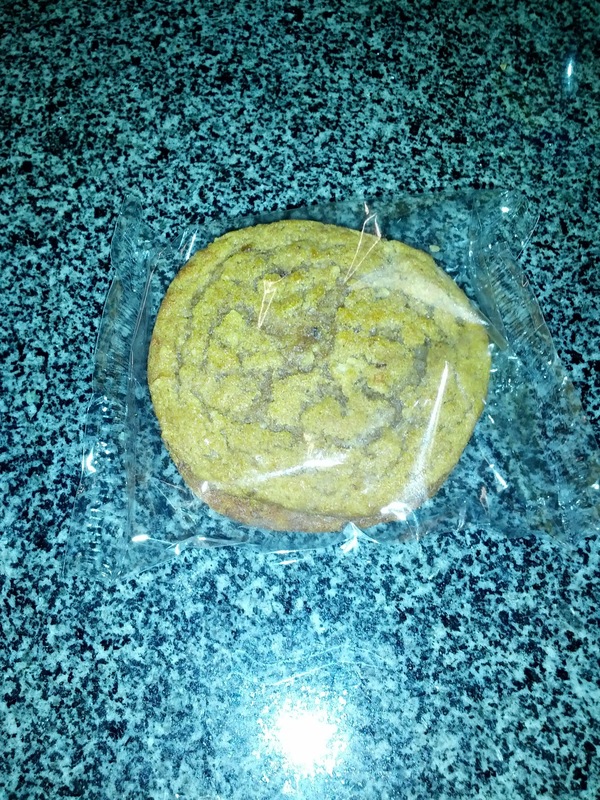 How do six people split a single, small cookie? 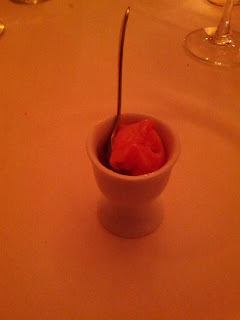 Or a tiny scoop of sorbet? I guess it was good that most people were full, but it was pretty awkward. The first dessert was a cheesecake, drizzled with a raspberry coulis, and topped with white chocolate shavings. The crust was a fairly classic, buttery, crumble style, but with an additional thin layer of chocolate. The cheesecake was incredibly creamy, with a great cream cheese flavor. Just enough raspberry sauce to accent the whole thing. I don't know if my dining companions were full, or being polite, or what, but only a few of them had a single bite each. I took a big chunk to start, and when no one else went back for more, I had to make sure this amazing dessert was not wasted :) I easily had 70% of this dessert myself. 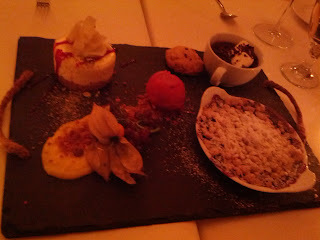 This was my absolute favorite of the desserts. I'd order it again in a heartbeat. Excellent cheesecake. Next was the dessert that I thought everyone was getting, the chocolate pot de crème, topped with whipped cream, served with a cocoa nib cookie. Since I needed to avoid chocolate, I didn't try it, but the cookie disappeared before I could rationalize to myself that there wasn't THAT much chocolate in it and it was ok to try, and another diner eagerly took the cup of pot de crème to her seat and polished it off. It sounded like a major winner. Next came the blueberry crumble, the largest of the desserts. It was served warm, which I always appreciate. I'm such a sucker for warm fruit desserts. The fruit component of it was just too sweet for me. I think if it had been served with some vanilla ice cream, or whipped cream, it would have helped to cut the sweetness, but on its own, it was actually just too sweet. I know I don't often say that. The crumble top was quite nice, crispy, buttery. No one else seemed into this dessert, so I polished off the topping. Again, with some ice cream, I think it would have been a serious winner. I am guessing that on the regular menu it was served that way? My second favorite of the desserts. Next was lemon curd, with some sort of crumble and gooseberries. I'm not a huge fan of lemon flavor in general, and this was no exception. Tangy, creamy, but too eggy for me. I didn't get to try the gooseberry, as there were only two, and others snatched them up. Finally, we had a little scoop of raspberry sorbet. It was incredibly sweet, and like the intermezzo, a bit too icy. I didn't really care for it. There were also some more champagne grapes, which I didn't try. Overall, my biggest complaint here is just that it was strange to share this assortment with 6 people. 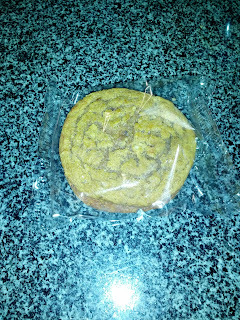 I didn't get to try the cookie, and I don't know how we were ever supposed to cut it into 6 pieces anyway. Everyone seemed to find their favorites, so it worked out fine, but still, a bit strange. My second favorite "course" overall, as that cheesecake was just incredible. Each dessert is normally priced at $6-8 on their regular menu. For our final wine pairing, we had a 2006 Late Harvest Petite Syrah, from Clayhouse Estates. I was a bit surprised when it was placed in front of us, described just as a petit syrah. A petit syrah for a dessert course? And it was served in a regular wine glass. It wasn't until I took a sip that I realized it was a late harvest, seriously sweet. Since I do like dessert wine, this was my second favorite of the wines. I really like having bitter coffee as a contrast to my sweet desserts, but sadly, no coffee, nor other drinks, were offered. This review has been merged into my other IHOP in 2013 review. Please go read it there!